It’s never too late to achieve the healthy, attractive smile of your dreams. Whether you want to brighten your teeth, conceal imperfections or straighten your bite, our cosmetic dentists can help you achieve the strong, beautiful smile you deserve. Call 303-659-0667 today to schedule your visit to Bromley Park Dental. Our privately owned practice helps patients from Brighton, Thornton, Commerce City and surrounding Colorado areas, including Fort Lupton. At Bromley Park Dental, we believe that at the root of every beautiful smile is a healthy smile. That’s why we approach cosmetic concerns from an “oral health first” approach. We will evaluate the current state of your oral health and establish a strong and stable oral foundation to ensure your results are comfortable and long-lasting. Porcelain veneers: Porcelain veneers are a great way to conceal a variety of cosmetic imperfections in one beautiful, comprehensive solution. Dental crowns and bridges: Not only do dental crowns and bridges restore strength and functionality to your smile, they are customized to look beautiful and natural. 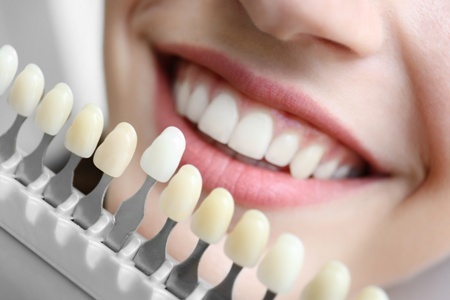 Tooth-colored fillings: If you need a filling, modern materials are discreet and natural looking. Invisalign: For mild to moderate cosmetic alignment issues, the Invisalign system can help you achieve straight teeth discreetly and conveniently. 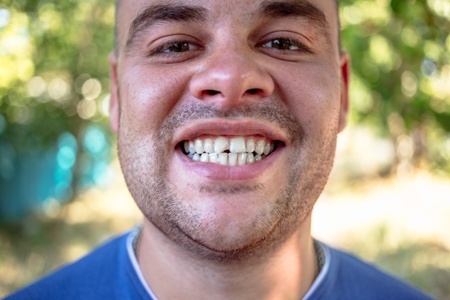 Dental implants: The gold standard of tooth replacement options, Bromley Park Dental can place your dental implants right here in our Brighton office. If you want to achieve a brighter smile, we proudly offer a powerful and convenient take-home whitening kit to help you achieve the dazzling smile you desire. Supervised by our experienced cosmetic dentists, you can enjoy the whitening effectiveness of professional tooth whitening in the comfort of your home. Since the customized whitening trays are form-fitted to hug your teeth, you won’t have to worry about inconsistent whitening. The risk for irritation of oral tissue and tooth sensitivity are also greatly reduced when choosing a professional tooth whitening system. Dental bonding is an affordable alternative to porcelain veneers for enhancing the appearance of your teeth. Dental boding involves the process of applying layers of composite resin (similar to the material used for dental fillings) to teeth that are chipped, gapped or misshapen. Once the material has reached an adequate thickness, our skilled dentist will meticulously sculpt the material to create an attractive, natural appearance. You deserve a smile you can be proud of. Contact Bromley Park Dental today online or at 303-659-0667. Our Brighton office welcomes patients from Thornton, Commerce City, Fort Lupton and surrounding Colorado communities.